My wife’s grandma has an old knife she really likes but over the years the handle pretty much rotted away. Time for a new one – it was a nice quick project. 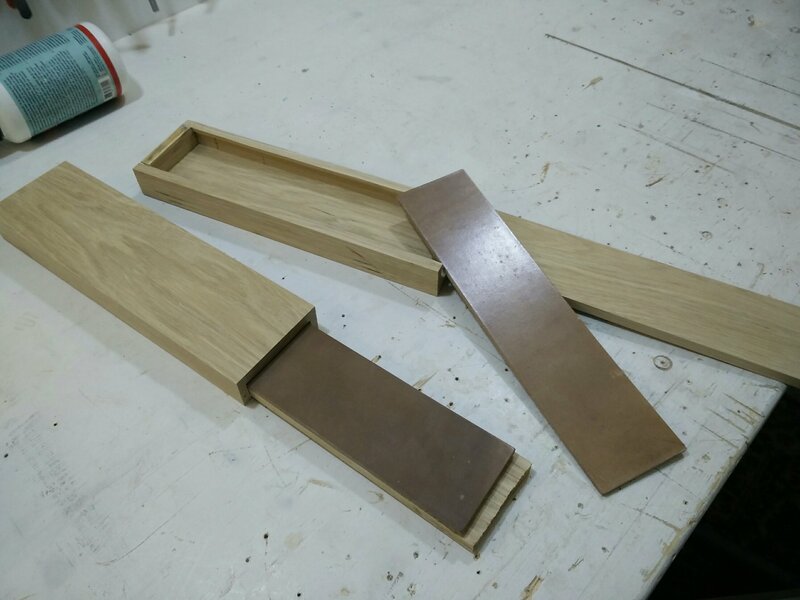 I use my own sharpening stones to get my kitchen knives sharp again and needed an improved storage solution. For years I have been using a similar bag, but it became too small (adding new stones over time…) and from the beginning it had some problems with sticky glue. Time for a new bag! Got some nice leather and started sewing. Finished with all stones inside. Since I started the blog many years ago it has been a challenge to actually write articles on the projects I did. The blog is mainly not up to date because I am a lazy writer, not that I am not having projects any more. So far the effort of putting a full article online has been too much most of the time. Time for a new approach – I’ll now try to make articles with some pictures and a short description. Won’t shoot for perfect, but rather ‘at least it is out there’. My experience in the past has always been it is better to get things out somehow rather than trying to be perfect and end up not doing it. So this is the idea here, let’s see how it goes. 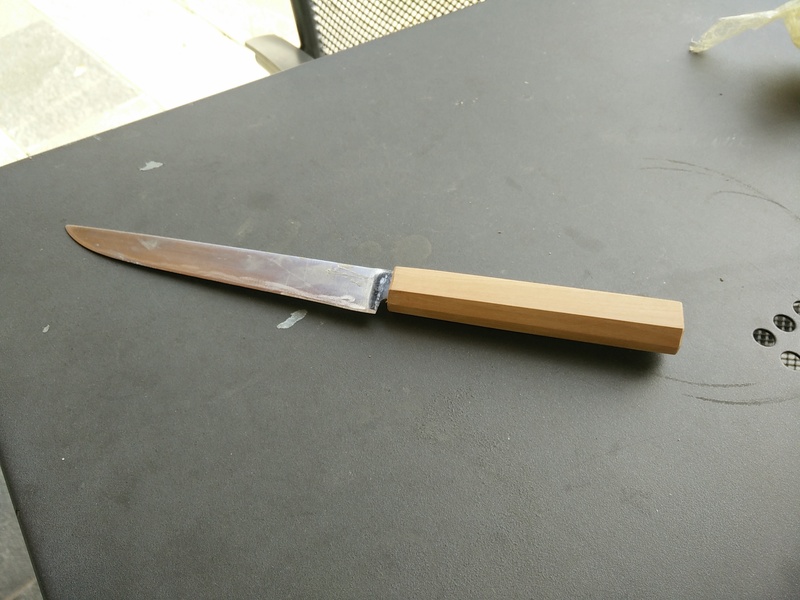 Like to have some strop handy in the kitchen to get my knives going again and keep them sharp for a bit longer between real sharpenings. Time for a wooden box to hold it! 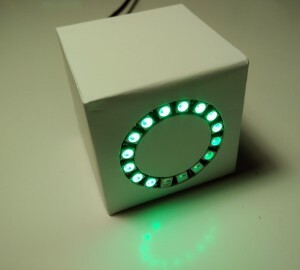 In the last blog post I showed how to set the light of my little Internet Mood Light via the internet. The old version used a json file as intermediary to send the data to the device. In this blog post I show a different (better?) approach that uses Thingspeak.com as intermediary. It has the large advantage that with that system you can also resend the same color and the webpage has a feedback about the current color that is shown. You can send me (well, actually Julia) a color at http://playground.xief.net/julia.php! The moment I learned about the new ESP8266 microcontroller, I was very curious to build something with it. A small microcontroller that has wifi support and a strong processor is just too good to be true. The first device I decided to build was a, I call it internet mood box, thing where the colors can be controlled via the internet. This way anyone can send a color to the actual physical device and this color will show for a while. As I made this mood light for Julia, much of the names you will see is Julia :). Recently, I started playing with the Neopixel (WS2812B) individually addressable digital led strips. For the project I have in mind the tightly packed 144 led per meter strip seems the best solution. However, having some experience with leds, I was not sure about the temperature a strip could reach when run at high brightness levels for some time. So I decided to measure the temperature on a strip of 8 leds as a function of the brightness value. For some time now I am logging the outside and also my indoor temperatures at my home in New Haven, Connecticut, USA. To record the data I built a weather station (eventually I should write about that too…..) that records the outdoor and two indoor temperatures as well as barometric pressure and humidity. Here I am going to present the temperature Climograph recorded for more than a year (September 2013 to Februar 2015). Make it yourself if the car does not have it. The Nissan Versa 2009 I bought does not have an outdoor temperature sensor and the radio did not allow to connect the phone to it. That was both somewhat annoying as I usually like to get a sense on what the current temperature is. 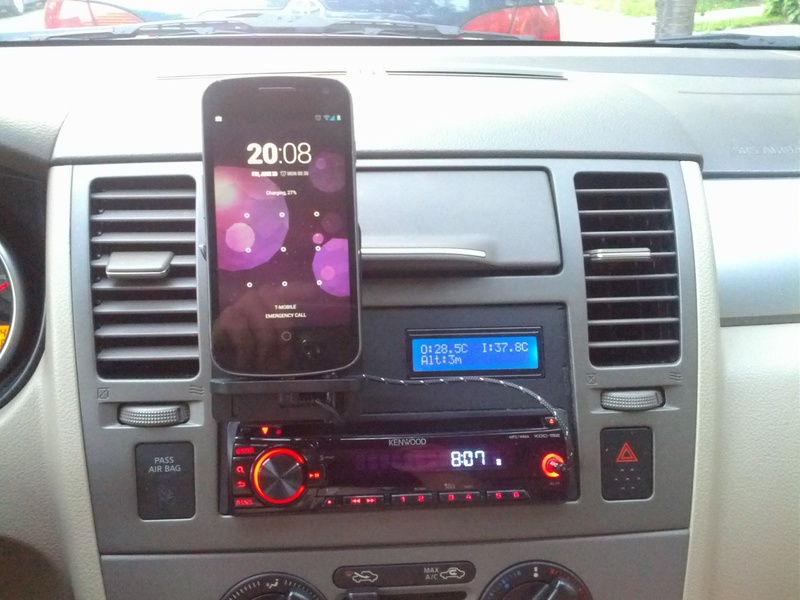 It is also nice to be able to hook up the phone to the stereo. So I decided to change the radio and add the temperature sensors myself. Welchen Rang habe ich bei einem bestimmten ITN? Ich frage mich schon seit längerem welchen Rang ich ca. in Österreich habe. Netterweise gibt es vom ITN Austria auch eine Liste mit allen registrierten Spielern. Ich habe ein paar Datenpunkte aus der Rangliste genommen (20.6.2014) und auf diesen Daten beruhen die Graphen.